Russian Minister of Economic Development Alexey Ulyukayev on Russia's plans to attract U.S. investors and boost mutual trade. Russian Minister of Economic Development Alexei Ulyukayev paid a visit to the Washington, DC on Feb. 24-26 to discuss possibilities for increased bilateral trade and investment with his American counterparts. In an exclusive interview for Rossiyskaya Gazeta, Ulyukayev spoke to Igor Duayevsky, Washington correspondent for Rossiyskaya Gazeta about the prospects of for increased economic cooperation between Russia and the U.S.
Rossiyskaya Gazeta: What are the most promising areas for cooperation between Russia and the U.S.? What sectors are particularly appealing to American investors? 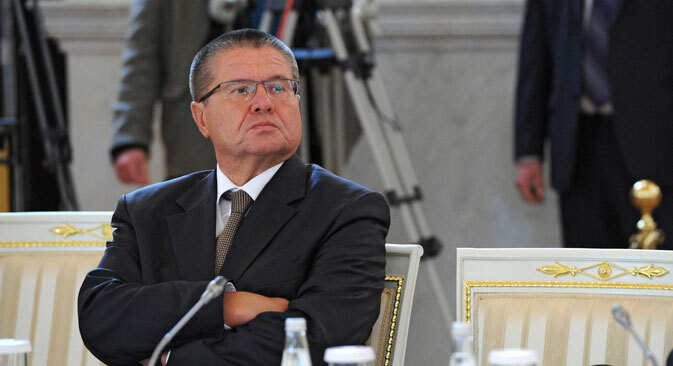 Alexei Ulyukayev: There are plenty of opportunities for cooperation. We are studying them together with the American Chamber of Commerce and the U.S.-Russian Business Council. Some of the promising areas include infrastructure, such as railroads and air transport, as well as transport engineering, various innovation projects, energy conservation, modern technologies and the automotive industry. We are also discussing investment opportunities in public infrastructure, such as healthcare. Russia's new concessionary legislation makes foreign investments in this sector possible. Russia has everything it takes to become a permanent major exporter of agricultural produce to the U.S. Our American partners could participate in relevant investment projects. R.G. : Can U.S. investors expect any kind of preferential treatment in Russia? A.U. :I don't think we can, or indeed should, offer them any special conditions. Rather, it is our mission to create a comfortable environment for all investors. We have special economic areas that offer tax preferences and simplified customs procedures. We are working on a concept of faster growth regions in which we could offer lower taxes, simplified customs procedures, easier access to utilities and land and schemes to lend infrastructure to investors, who could then pay for its use in the form of tax payments to various government budgets. We believe that all these measures will help create a comfortable investment environment. It is not a set of preferences we are discussing with our U.S. partners, but better conditions for all investors, and they appreciate that. R.G. : What direction will the two countries' economic cooperation take in the next few years? A.U. : Our current bilateral trade is incomparable in size to the two countries' economies: it amounted to around $28 billion in 2013. We have to create more opportunities for trade. Trade and investment form the best foundation for improvements in political relations, cultural exchange and interpersonal contacts. There are interesting opportunities for cooperation and we cannot afford to miss them.